Kirkland, WA, December 4, 2000 — Real Time Integration, Inc. announced today that the Company’s shareholders and board of directors approved a name change to NetAcquire Corporation. NetAcquire Corporation manufactures and sells the NetAcquire product line for distributed test and measurement. 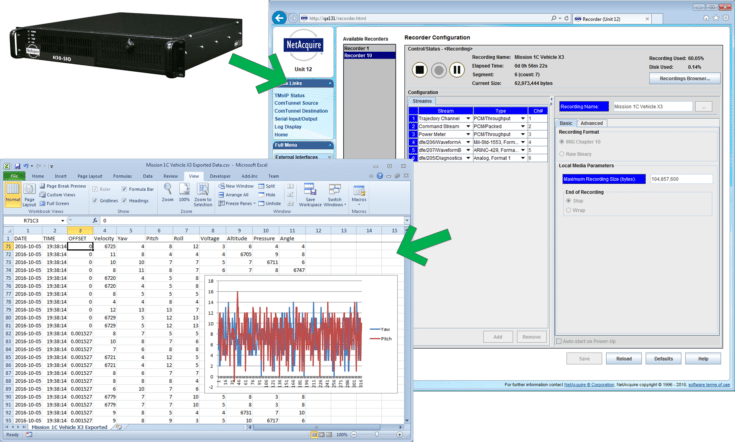 NetAcquire hardware products act as gateways between real-world data signals and networks. Data acquisition and network publishing occur in real-time, so up-to-date information is always available at computer desktops. Six NetAcquire product groups and a mix-and-match architecture meet almost any input/output/network requirement and support the Company’s recent Connect Anything to Anything initiative. NetAcquire products provide input/output interfacing, networking, and real-time processing to a wide range of applications, including satellite communications, aerospace test, remote monitoring, and industrial automation. NetAcquire Corporation, formerly Real Time Integration, Inc., was founded in 1994 and is privately held. The Company is located in Kirkland, Washington, with a branch office in Vancouver, Canada. NetAcquire, Real Time Integration, and RTI are trademarks of NetAcquire Corporation. For full press materials, including new and old company logo graphics, please visit Press releases.